One of the exciting things about jazz is that you never quite know what you're going to get. Artists experiment and explore, crossing genres. On her new record, Terri Lyne Carrington leaves one in no doubt where she's at from the start, laying a fast, programmed beat behind Duke Ellington's Come Sunday. It doesn't necessarily work, the hyperactive rhythm at odds with the slow, languorous vocal by Natalie Cole. Elsewhere the emphasis is heavily on the soul. The record features several strong voices, such as Chaka Khan, Aleta Adams and Nancy Wilson. The bass - mostly by Linda Oh and Rhonda Smith - keeps things skipping along. There are some good saxophone solos, though trumpeter Ingrid Jensen seems somewhat wasted. 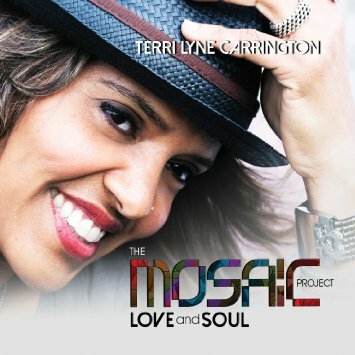 Carrington's previously released The Mosaic Project won her a Grammy, and this record - more soul than jazz - may well follow suit.